Step back into the past at a time when video games were just starting to gain popularity and develop. Super Mario is one of the most famous video games available on any platform and not only. 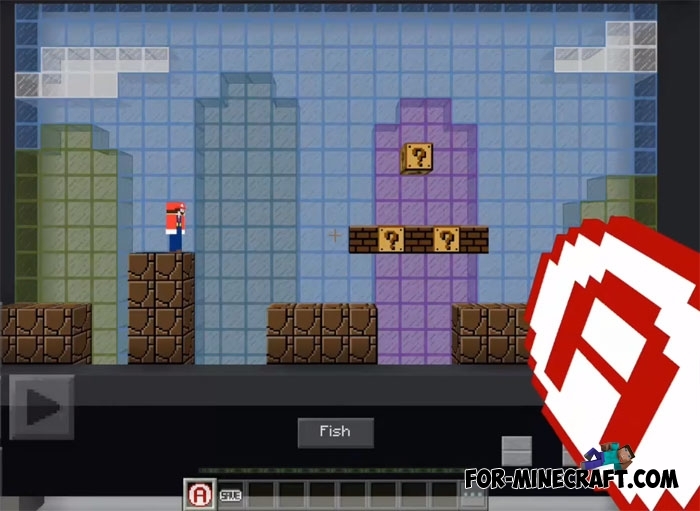 This time the game from nintendo was recreated in Minecraft PE using all the existing possibilities. There is much to say about this map, there are advantages and disadvantages compared to similar Super Mario maps for MCPE. 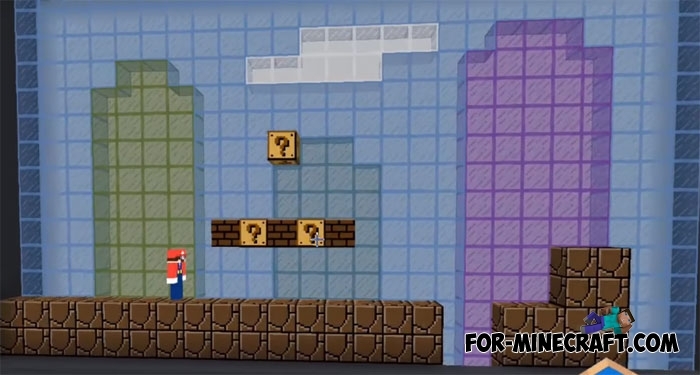 In most cases, it's you who are the main character who must go through difficult levels, but this map is implemented in this way as if you are holding a console and controlling Mario. 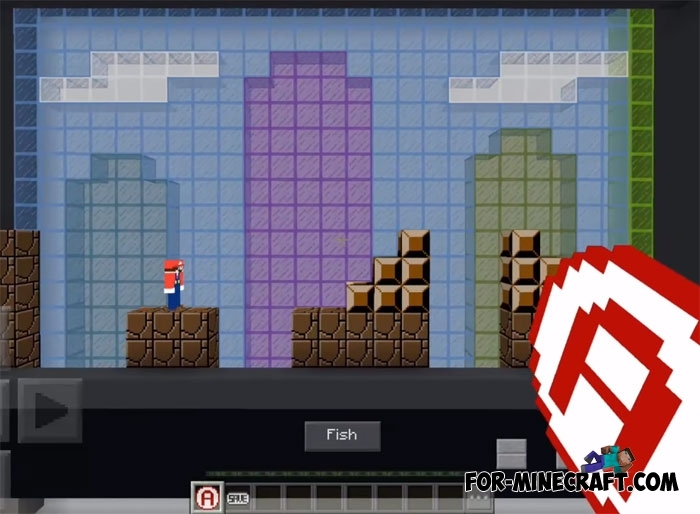 The control is quite simple, the movements can slow down a little due to the command blocks. Enter the corridor in the middle and proceed to the passage. If the game does not start then update Minecraft Bedrock to the latest version, 1.2.10 at the moment.